I had a minor shuffle around of bikes last summer and this Beemer combination came in to the fold. I thought it might make good family transport - obviously I bought it for the kids and not for me... It's an ex-police R80 RT TIC fitted with a Watsonian Monaco chair and Unit leading link forks. So, why not take another BMW and degrade its functionality all over again! To be honest it was with some reservation that I started on the R80 but the reality was that this fairing was worn out - plenty of threads gone and ovalled holes in the fibre glass meant that the thing rattled and wobbled and generally spoiled the riding experience. I knew that I was taking away weather protection and lowering performance but in truth it's better not to ride a combo like this at much more than sixty anyway and taking the fairing off sheds a good deal of weight. 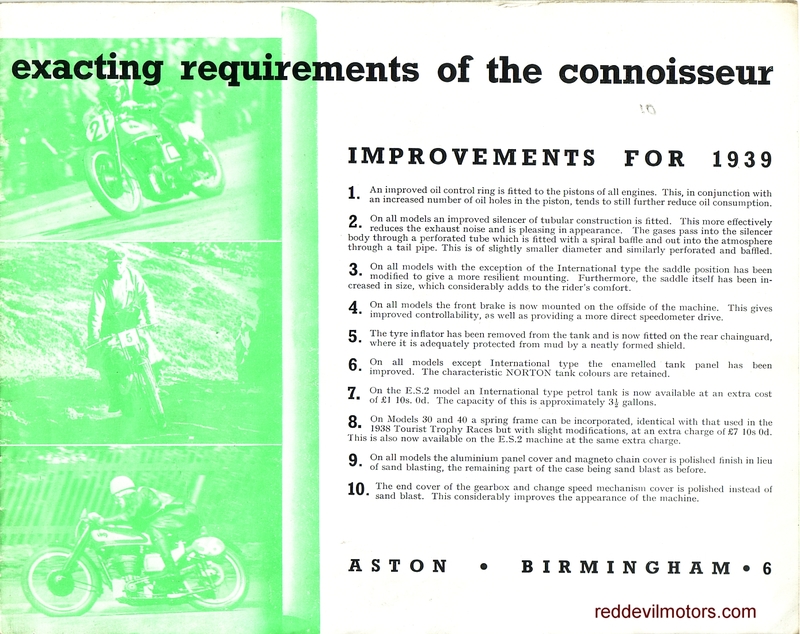 Removing the fairing on the R65 had been an easy job as the bike had started off life without one. 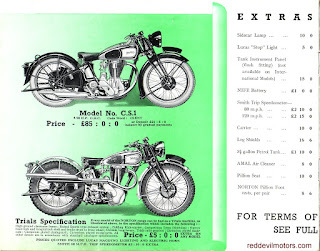 The R80 RT is designed with a fairing from the off. Before starting the job you've got to have a pair of headlight brackets, universal type would do but the original BMW ones for the unfaired models look right and are very neat. Using the BMW headlight brackets means that you really need the correct indicators too. 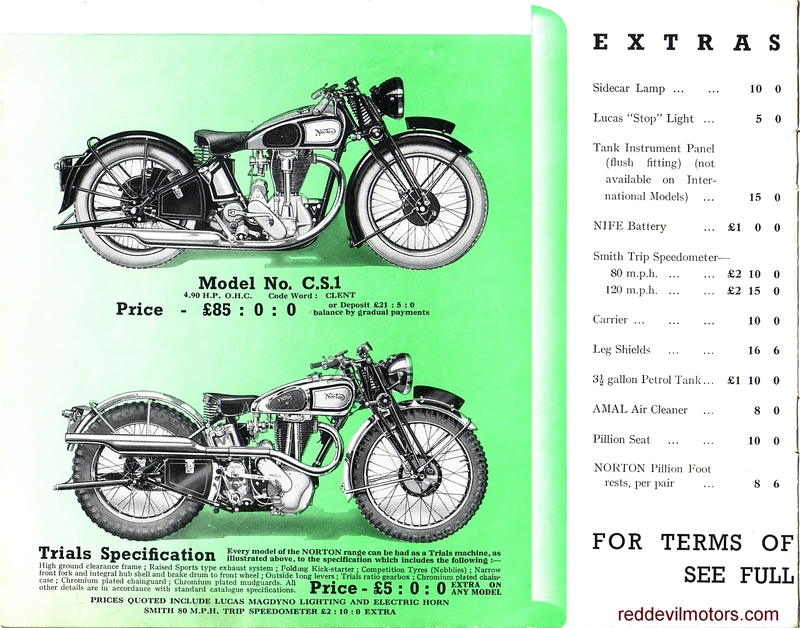 All quite pricey parts unless you source them second hand. Once the fairing is off and the headlight remounted the wiring fun begins. Luckily the same headlight shell can be used. The ignition key / switch has to be re-located to the left side headlight mount, once again the same switch can be used so it is just a matter of disconnecting it, re-locating and then wiring back in. The RT carries the pilot light on the fairing, luckily the headlight itself has provision for one so it's just a question of removing it from the fairing and plugging the bulb and holder in to the headlight. Overall I'm happy with the way it has worked out. Personally I think the bike looks better for it, the rattle have gone and it is all nice and open for easy maintenance. The job was a good bit more involved than I had first envisaged but it was worth doing. There's now an RT fairing in pieces scattered around the garage. If there is anyone out there wants it and can pick it up it's all yours! but undeniably one of the most functional ever made. Side on view. The Watsonian Monaco is a large chair! re-jig them slightly and make it all a bit more rigid. I'm planning to use it as a handy mount for a spotlight. brackets need to be used in conjunction. when there is an instrument pod. Brochure for the Gilera 150cc Sport model. Not so many were sold in the UK but the association with Geoff Duke would have been a strong selling point even if the humble ohv 150cc Sport was a world away from the dohc fours that Duke was racing. 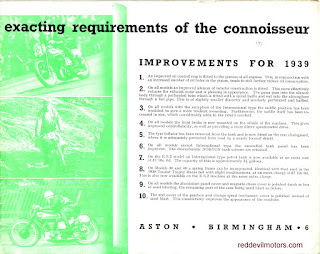 I'm guessing the brochure is c1958. The rear cover is promoting the six world championship wins. 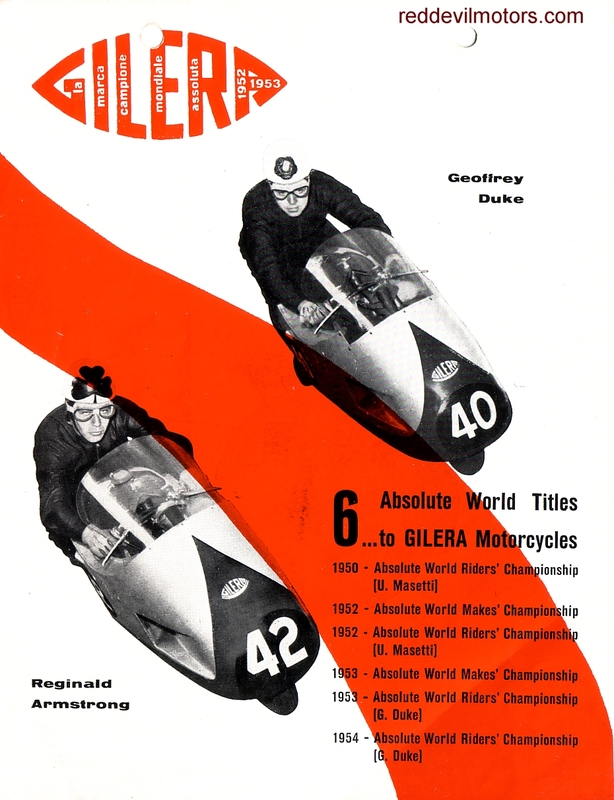 The last of these was in 1957 and Gilera pulled out of GP racing along with several other manufacturers for the '58 season. 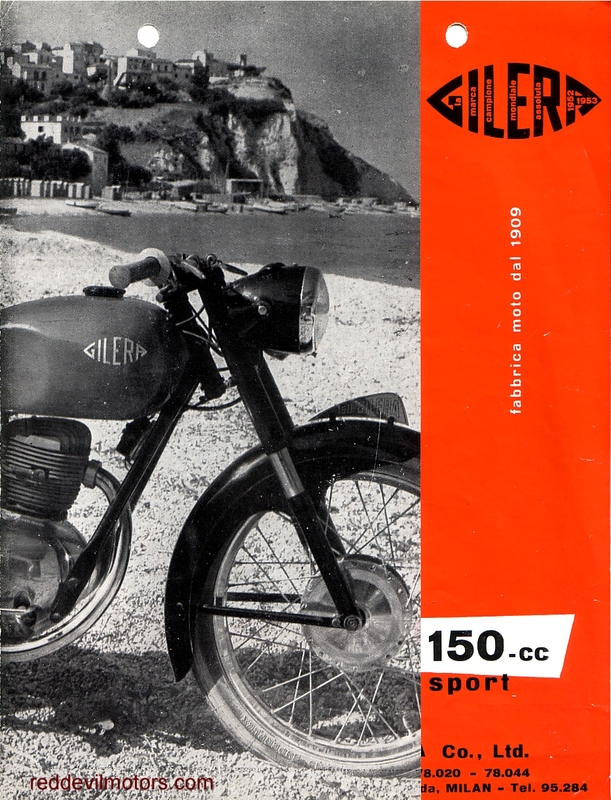 Gilera 150cc Sport brochure front cover. 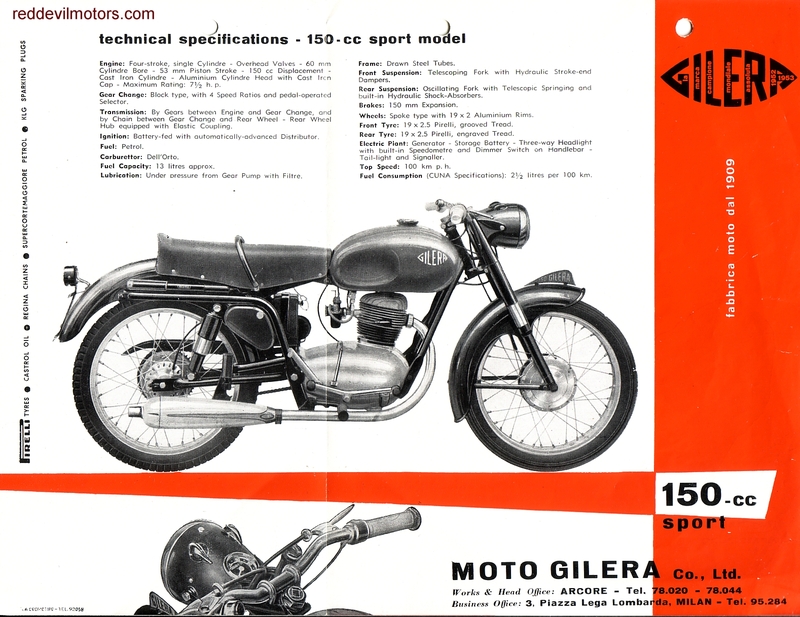 Gilera 150cc Sport brochure centre fold out. Gilera 150cc Sport brochure rear cover. Proper used Royal Enfield Bullet. You don't see many early Hondas on the road. sixties. I believe the model is a C95 Benly. 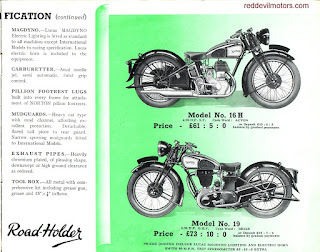 Nicely presented Ariel Fieldmaster with Craven luggage. down on this pre-unit Triumph chop in the jumble. 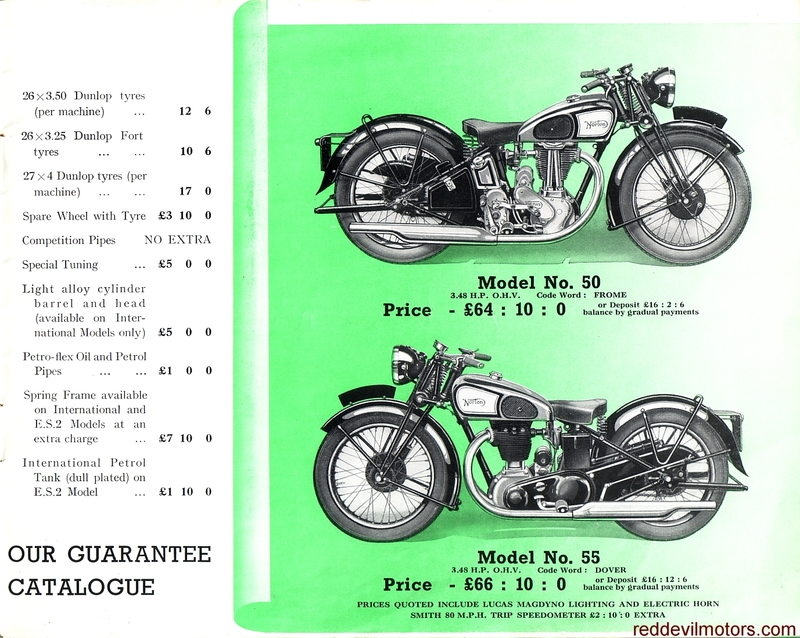 reasonable price for a tidy bike. And a BMW R90 was the Velo's companion. Postcard flyer from New York for the Excelsior Universal dating from c1947. 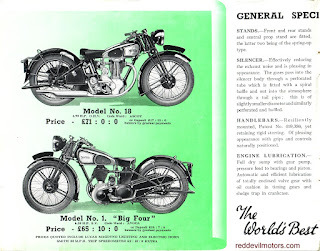 The Universal was noteworthy for having a hand change gear lever through the centre of its petrol tank. 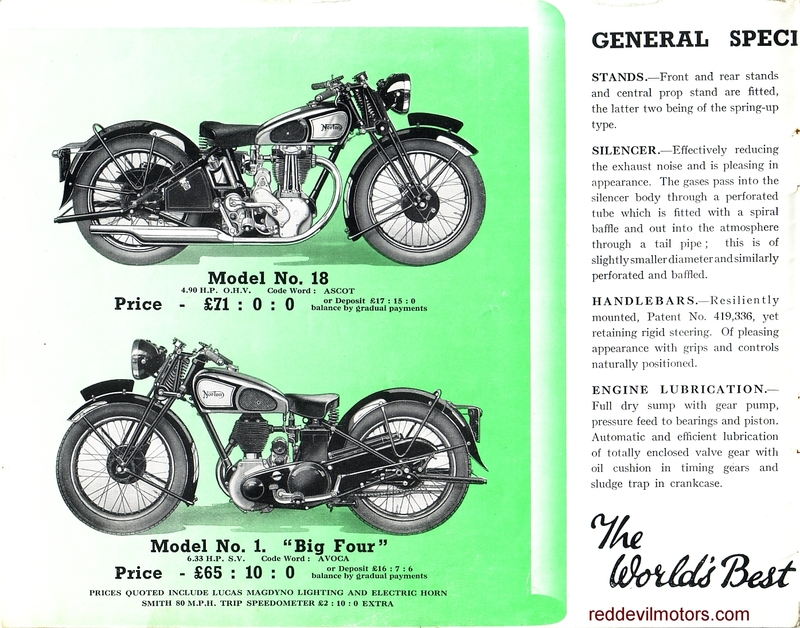 The motor is a Villiers 9D 122cc. Out and about once again making use of my British Motorcycle Charitable Trust membership. Sammy's Museum is just up the road from me but it had been a while since I had last taken the time to have a good look around. A shame for me as it is a wonderful museum, there's something a lot more alive and vibrant about having a look around an individual's collection. Of course many of the bikes are static exhibits but also many are in use. The selection of machines is eclectic and Sammy in particular has an eye for the unusual and technically interesting which, personally, is what I want from a museum. 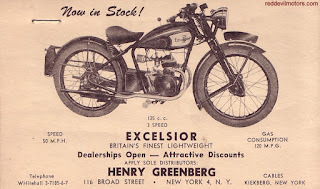 If I wanted to see a fifties Triumph I would far rather see it in action and opportunities for that are fairly commonplace but you won't find a similar selection of 1920s scooters anywhere else and the selection of exotic off-road machinery is second to none. Experimental Cross rotary valve engine. 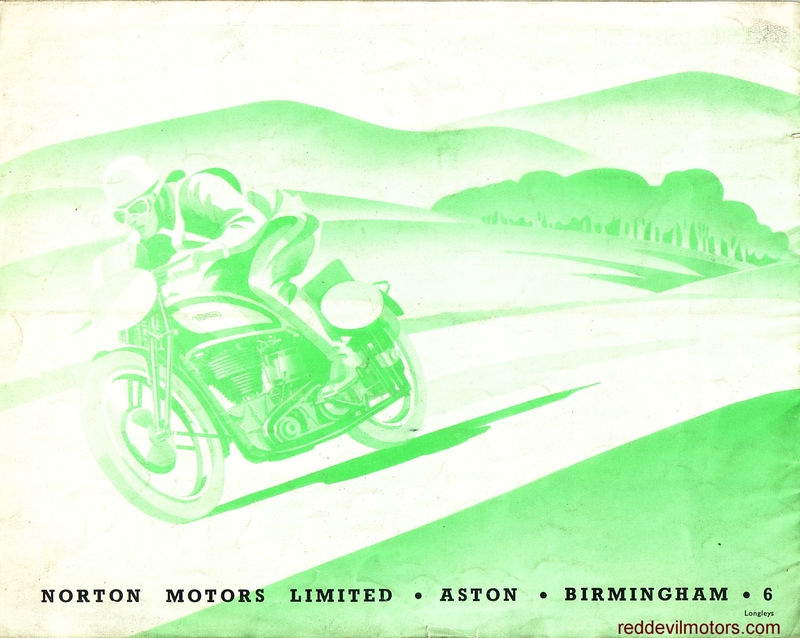 Bob Collier 1000cc Norton parallel twin special. Close up on the Bob Collier Norton motor. View of the Norton Hall. Wow! Closer up on the Grindlay Peerless. Closer still and focussing on that Barr and Stroud lump. Dave Watts and tested by the British Army. Another view of the Dave Watts Maico. Close up on the DOHC JAP lump. Talon Mickmar trials iron from 1973.
engine converted to air cooling. 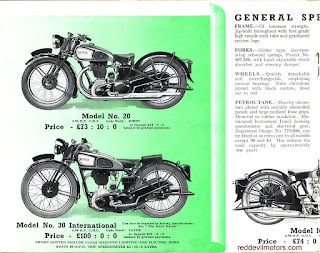 on an Austin 7 motor in BSA M20 cycle parts. Bob made six of these in total. The Museum also houses a fine collection of automobilia. lookout for the bargain and the unusual. running through a two speed gearbox to a shaft drive. exposed valves really were open to road muck. This is Norton's abridged sales list for 1939. Even so it seems fairly comprehensive, the full list must have been quite a tome. 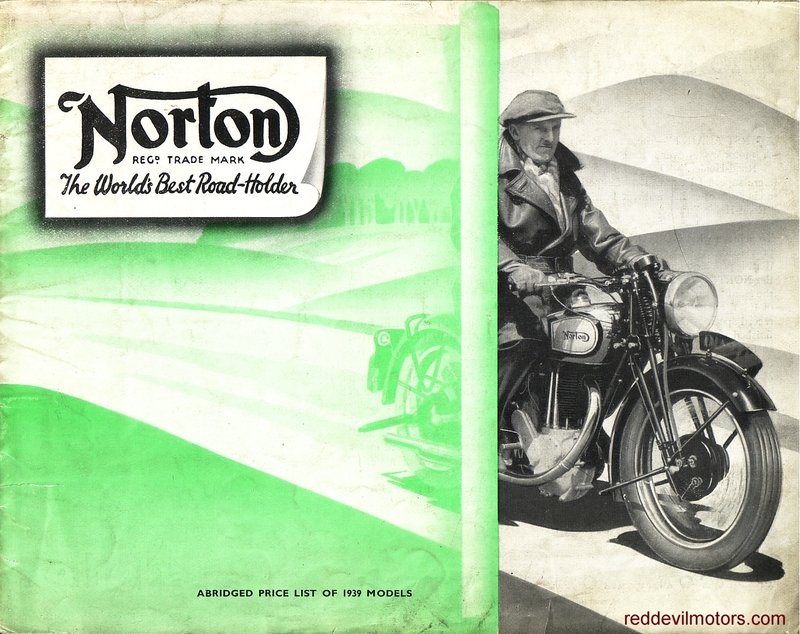 Norton sales catalogue 1939 front cover. Norton sales catalogue 1939 page 1. 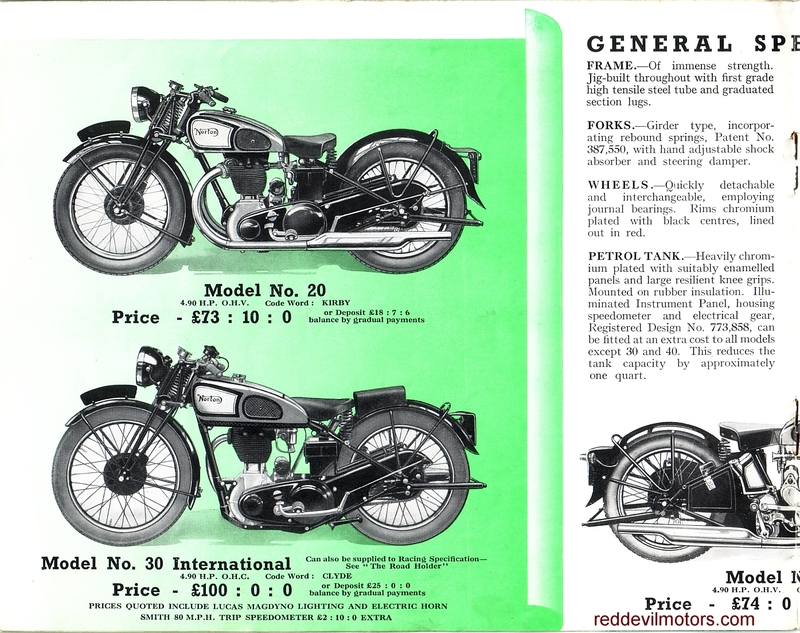 Norton sales catalogue 1939 page 2. 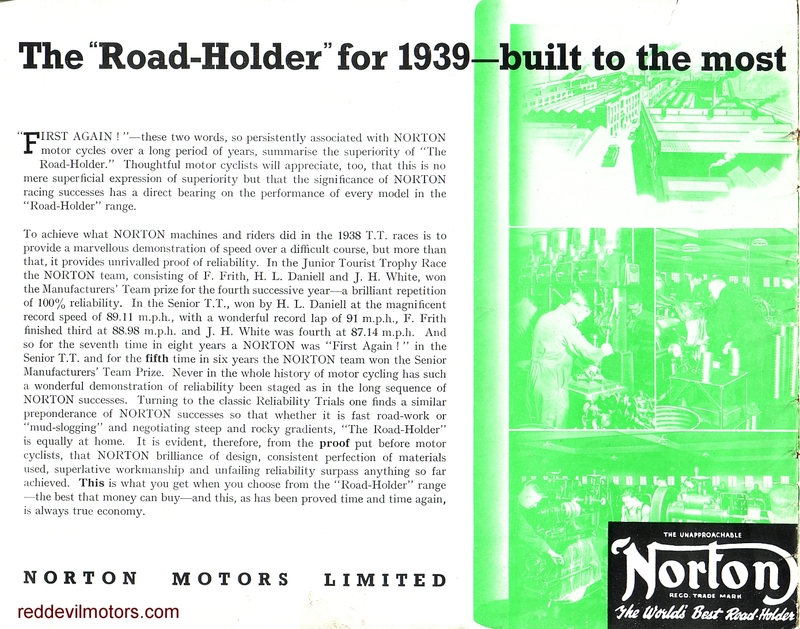 Norton sales catalogue 1939 page 3. 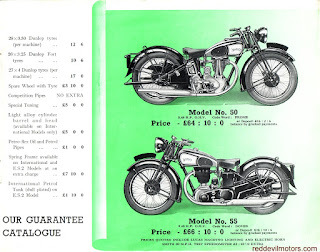 Norton sales catalogue 1939 page 4. 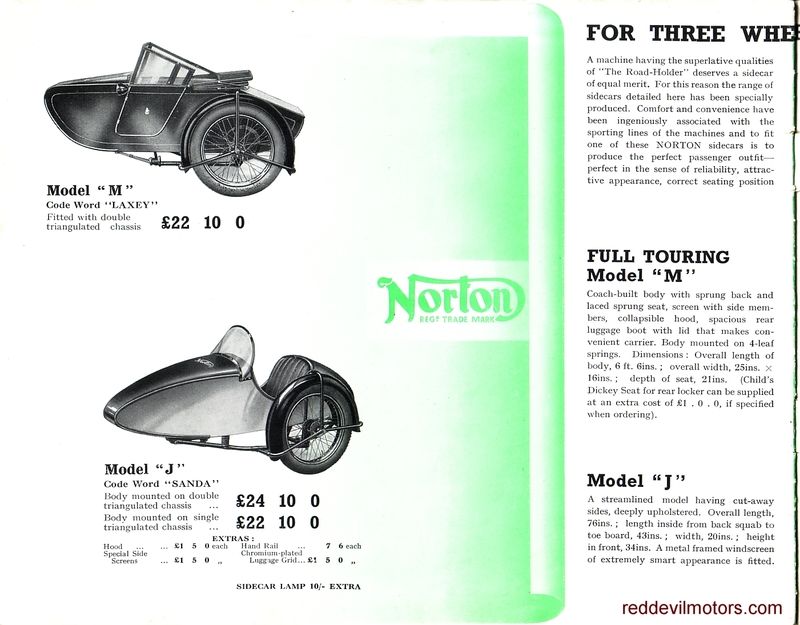 Norton sales catalogue 1939 page 5. 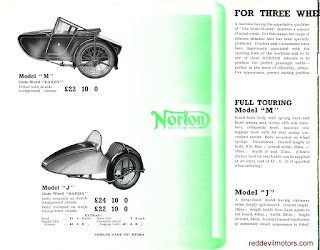 Norton sales catalogue 1939 page 6. 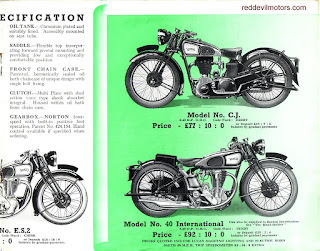 Norton sales catalogue 1939 page 7. 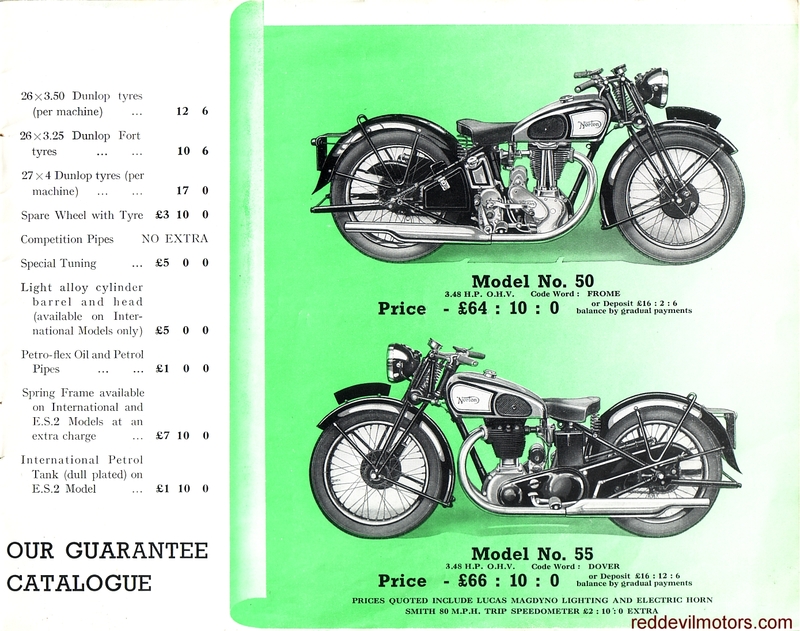 Norton sales catalogue 1939 page 8. 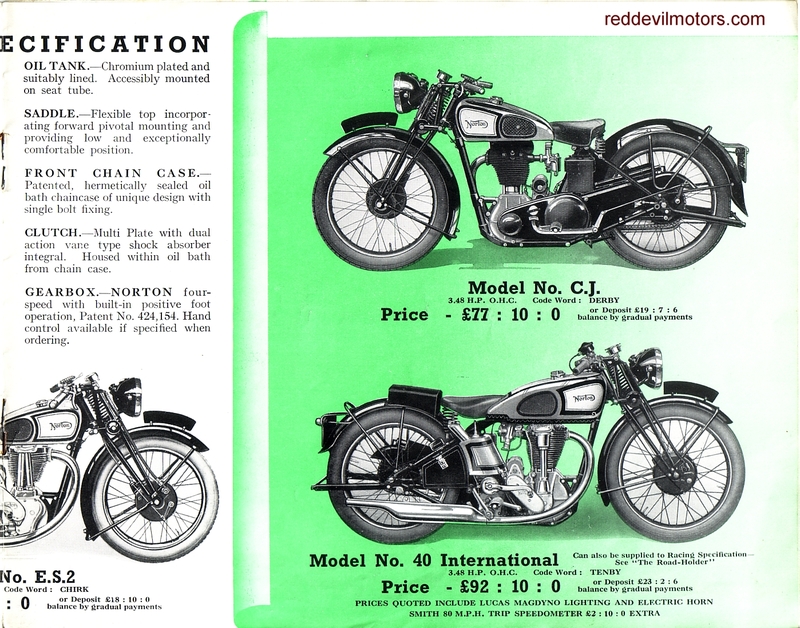 Norton sales catalogue 1939 page 9. 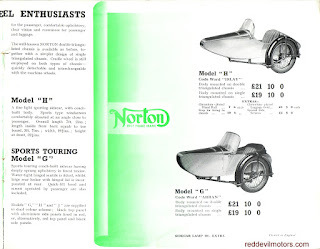 Norton sales catalogue 1939 page 10. 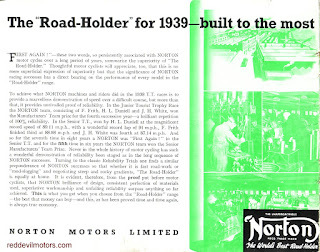 Norton sales catalogue 1939 page 11. 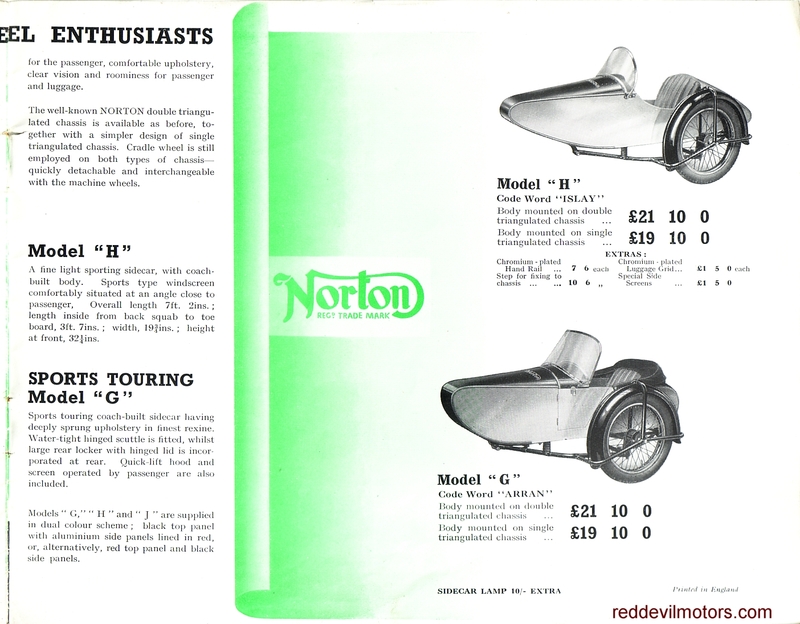 Norton sales catalogue 1939 page 12. 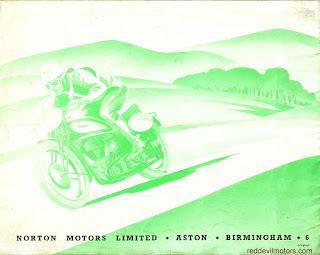 Norton sales catalogue 1939 rear cover.